Swedish director Roy Andersson talks to Culture Whisper about his latest film, working with Ingmar Bergman, and why he's the one person Lars Von Trier is afraid of. His new film, entitled (quite simply) A Pigeon Sat on a Branch Reflecting on Existence, is a peculiar cake indeed. A Pigeon... completes Andersson's so-called Living trilogy, a collection of existentialist films that aim to "show what it's like to be human" through a series of darkly comic sketches and striking visual tableaux. His work divides opinion. After the much lauded 2000 film Songs from the Second Floor, Andersson's second in the trilogy You, The Living was panned by critics on its release in 2007. This, the final piece of Roy's impossible puzzle, has taken him another seven years to make. Andersson's films are both knuckle-bitingly funny and incredibly bleak. More often than not you're left wondering whether the human soul exists at all. Some characters find redemption; most are cruel and humiliating. This vision of existence surely denotes a very pessimistic man in the director's chair. Yet Roy Andersson is a different bird altogether. At seventy one, he's an animated, chuckling whiskey-drinker; a self-professed cosmopolitan. He's nothing like the hapless caricatures his films depict. One unique feature of Andersson's films is the palette: inspired, he says, by Pieter Bruegel's 1565 painting Hunters in the Snow, Andersson's trilogy whitewashes the faces of his caricatures (if you can call them that) as they grapple to make sense of the disturbing world he has created for them. They look at best sun-starved; at worst, the walking dead. Andersson's films are also notably static. His unique, fixed perspective shots certainly seem to draw a great deal from the visual arts. This interest in different mediums stems, he says, from his own indecisiveness. "I wanted to be a painter in the very beginning. And an author, and a musician, and a composer! So I had three creative 'sites', and finally I chose film, because, when I was a teenager, we were going through a great period in the European film history. At the end of the fifties and during the sixties, we had so many different so-called 'waves'. We had the Russian wave, Polish wave, Czech wave, Italian wave, French wave, and we have the so-called Kitchen Sink realism from England. The same generation that made the movies for The Beatles!" Andersson then went on to study at the Swedish Film Institute, where he was supervised by none other than Ingmar Bergman. Comparisons have since been drawn between their styles, with some hailing Andersson a 'slapstick Bergman' – yet Roy and his tutor never saw eye to eye. "I have regarded him as a very unsure person, and an insecure person is often very, very mean. He was also very right wing. At the very least he was a Fascist – during the war he was a Nazi. He came from a family of bishops, and at that time their sons to Germany, when Nazism was growing. And Bergman joined the Hitlerjugend." "But, after the war," says Andersson, "he's tried to forget it, to hide it, even. But it has come up more and more afterwards. "I can," he concedes, "understand it, in some ways. However, when I went to the school and he was my supervisor in 1968, it was a high point [politically]: there was a youth revolution in Europe – all over the world, almost, and a revolution against the Vietnam War, and he warned me 'If you continue to make movies about Vietnam demonstrators, or left wing films,' he would say, 'I'll end your career.' That was the warning. But I was never afraid of him!" Roy Andersson is definitely not living in Bergman's shadow any more. In 1970 he made A Swedish Love Story, which littered his mantelpiece with awards on its debut at the Berlinale, but didn't exhibit the same distinctly absurdist style for which he's become famed. 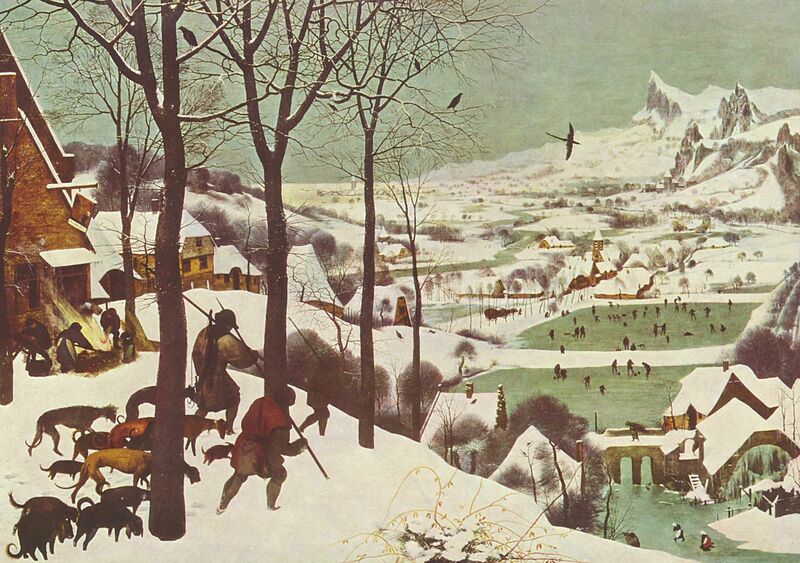 Peter Bruegel's Hunters in the Snow: Andersson's inspiration for the 'Living' trilogy. In Pieter Bruegel's work (above), the painting that inspired the film, the birds on the branch eye the humans below with a dim view, perceiving, as Roy puts it, their "follies and vices." The conclusion often drawn is that he, from the same vantage point, has a dim view of humanity. Would he go that far? "I don't think I am a pessimistic person. But on the other hand, you must realise that we are living in a time that is not very good. There is no respect for human beings, for people without money, for people without power. We're exploiting poor countries as much as possible, all the time. The nobility are very lazy. I don't respect the political situation today but I hope it will change. We can't survive like this any longer – we'll end up unhappy." His films, though often deeply pessimistic, have a humour to them in even in the bleakest of circumstances. Are comedy and tragedy closely related for him? "I think,' he says, "that’s a matter of my own personality. I can see the tragedy and the comedy at the same time, in the same situation. Two sides of the same coin. I really like to joke about the serious things. I joke about death. But there are certain things I can't joke about. I couldn't make scenes like this about young people dying." Lars Von Trier has confessed that Andersson was the only Palme D'Or competitor he 'truly fears'. How does Roy Andersson feel about his competition? "So we are both auteurs. Of course it's nice to hear that – not that he is afraid of me, but that he felt that I would be a strong competitor." And Von Triers' work? "I respect him because he has a very special kind of vitality, he has influenced the mood and attitude amongst very many young filmmakers. I’m not fond of all his movies. But of course, he has shown energy and self-confidence that has also been picked up by young filmmakers. So for many of them he's still an idol – but I'm not so impressed by him." Given his leisurely output, it wouldn't be surprising if Andersson were to wait another decade for his next film, but, he says, his next project is already underway. His new film "will be in a different style: more hard, more brutal. Not such bleak colours as the last movie. I won't change too much. But I will have tighter sketches. I plan on keeping the sketch format, because I find that using fragments to tell about life, which is itself fragmentary." When comparing this latest film to his populist debut A Swedish Love Story, it's striking how much Andersson's directorial style has changed. "When I made that film, I couldn’t imagine that I would finally have the style I have now." Do his films reflect his own change in perspective? "I hope so!" he says, cheerfully. A Pigeon Sat on a Branch Reflecting on Existence: UK release date 24 April. 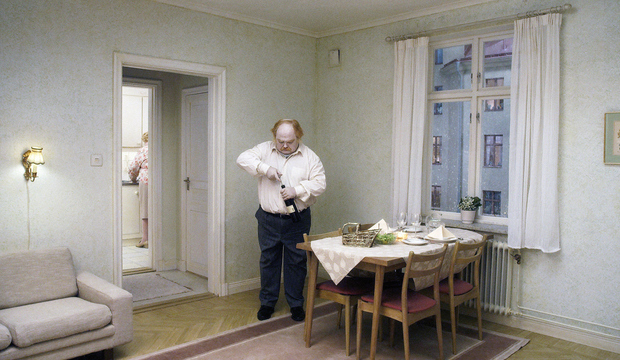 Want to catch up on the rest of the Roy Andersson filmography before you watch A Pigeon? ICA members can watch You, The Living, Andersson's second film in the trilogy, on Sunday 3 May at 12.15pm in their main cinema. Click here to book via the ICA website.